Did you know that the reason you hunted was solely to boast about it – ‘signalling’ is the word used in the above article – the size of the animals you shot and the costs of the hunt – or for “status-accumulation” purposes, in other words, the same reason some people buy flashy cars or women flaunt expensive jewellery? Did you know that trophy hunting “can pose significant threats to hunted populations”? And that it is of concern that, “trophy hunting of rare species can propagate a feedback loop toward extinction? Sounds familiar doesn’t it? Just like the old, worn, worthless, discredited accusations made by animal rightists like HSUS, PETA and IFAW and repeated by them ad nauseam, as if mere repetition could convert these lies to truth. Did you know that the proposed solution to this was to shame hunters via social media because the “perceived benefit of signalling” – i.e. boasting in layman’s language – was reduced by associated threats via the same social media and, therefore, shaming would erode this benefit? In other words, the authors of this article are asking the public to pump up the pressure on hunters using anonymous social media to threaten and insult them. Trophies made from animals the writer has shot. 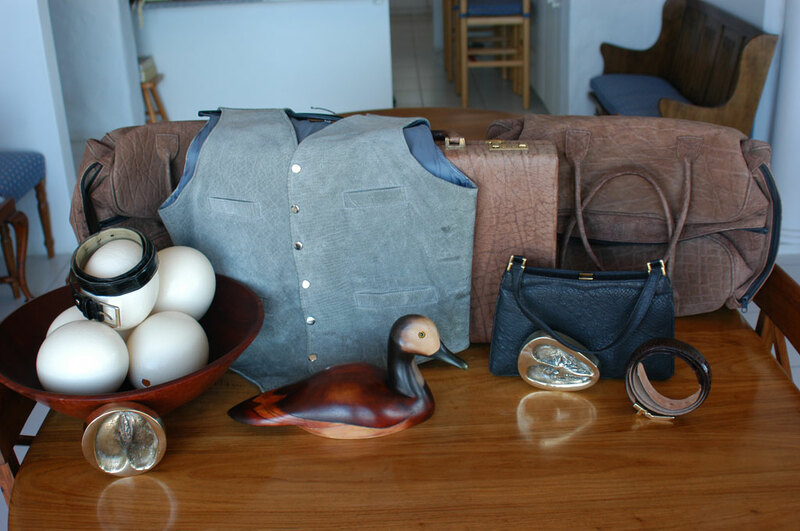 Not sure how having a photo taken with these items would confer social status on anyone. So, where did I read this nasty, insulting bilge? In an article sent to me by Professor Terry Robinson, head of genetics at Stellenbosch University and published by The Royal Society Publishing in its Biology Letters in March 2017. You can read the same article by clicking on this link: http://rsbl.royalsocietypublishing.org/content/13/3/20160909. Now I have read a lot of rubbish over the years about hunting and normally I ignore it but every now and then the crass stupidity and ignorant, arrogant, self-satisfied rubbish passing itself off as quasi-scientific claptrap gets my goat and I feel compelled to reply in words of one syllable that even these thick skinned, academic morons can understand. Without putting too fine a point on it, this is one of, if not the, biggest pile of unadulterated horse dung I have ever read on the subject but it does provide a strong indication of the uneducated, academic led propaganda out there determined to do its utmost to stop hunting. And the fact that the authors know so little about hunting is clearly no impediment to the publication of this kind of rubbish. Most hunting magazines and books carry more photos of wildlife and wildlife habitat plus hunt and camp scenes to help the reader ‘be’ there with the writer than those of hunters standing next to dead animals. These stories would be incomplete without a photo of the animal(s) shot during the hunt much as a newspaper article about a motor accident would be incomplete without a photo of the car crash. No sane person would argue that those standing next to the crash were doing so to enhance their social status. The Royal Society Publishing, based in the UK, states that it is, “A broad interest journal publishing short, highly innovative, cutting edge research articles and opinion pieces across biological sciences.” Really? They have more editors than you can shake a stick at – editor-in-chief, publishing editor, production editor, four handling editors, reviews editor and an editorial board of 82, yes 82 members but only one, Dr Susan Cunningham of the Percy Fitzpatrick Institute, from Africa. And still they allowed this article to be published! 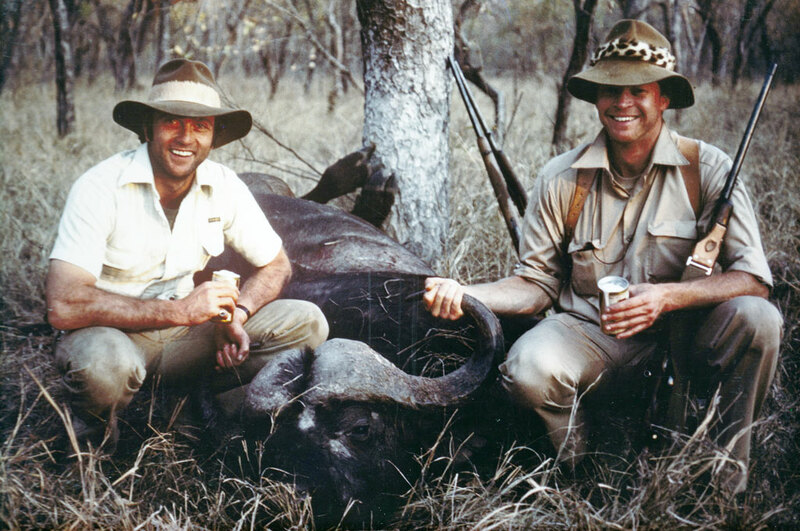 This is an old photo of myself and a friend next to the first buffalo I ever shot. 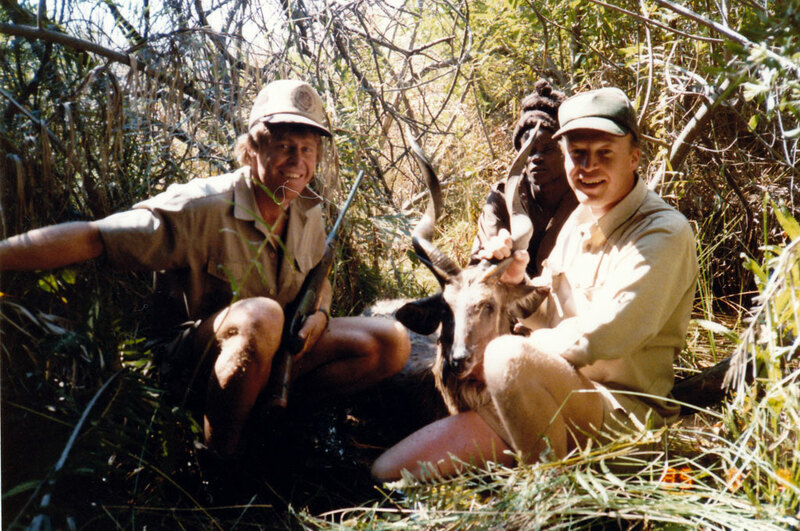 It is a small, immature bull I was instructed to shoot by the useless professional hunter who guided me at the time. 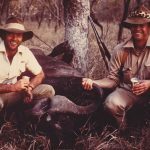 I have kept the photo for all these years to remind me of the hunt, the mistakes I made during the hunt and, despite these, as a memento of the good time I had with some lifelong friends who all hunted their first buffaloes together. If I am ‘signaling’ anything it is just that because shooting such a small animal would confer neither social status nor leave room for boasting but rather open the hunter to ridicule. While they themselves admit that, “… why subsistence hunters target large prey attract competing theories and significant controversy” they have no qualms about being decisive when it comes to modern day hunters. They know that the reason why we hunt is to boast about it. To compound their ignorance, they make some other startling statements. 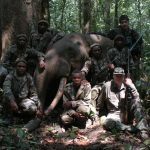 Let me start with the first one: “An evolutionary explanation of the motivation underlying trophy hunting (and big game fishing) – I have been warning my fishing friends for years that they were the next targets for the animal rightists – has never been pursued”. Well, maybe it has not been pursued by these ivory tower heroes but, if they were to enter the real world and actually condescend to discuss this with a cross section of hunters, they might have been told that agriculture was only invented some 10 000 years ago and that, in the 200 000 or so years we have been on this earth in more or less our current form, for 95% of this time we have hunted to provide for and protect our families and communities? No wonder then that this is so ingrained in some of us that it is part of our culture, part of who we are. That many hunt because it deeply satisfies something within them that defies simplistic definition. And this may also partly explain why some hunters target predators who, even today, prey on local peoples and their livestock – which is often their only source of protein and revenue – but to say they are inedible as the authors do, shows yet again how little they know. The queues of locals lining up to buy meat and particularly fat from hunted predators is testimony to this and many hunters I know have eaten their meat. 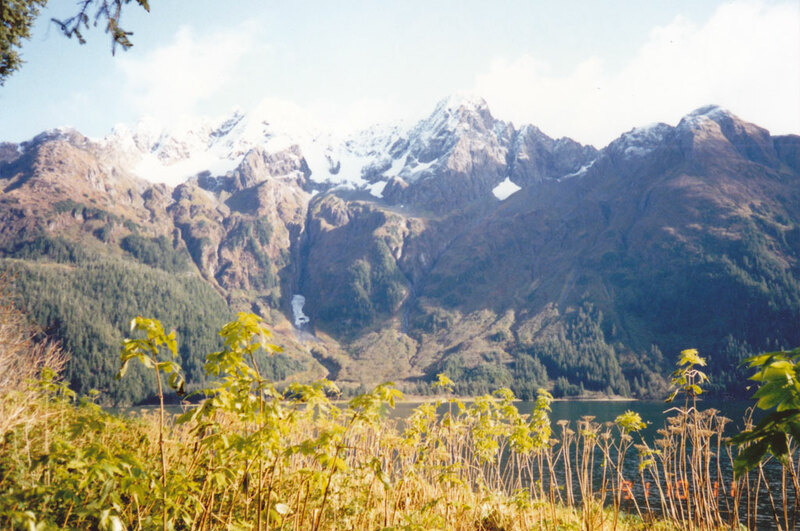 This is another old photograph I have kept to remind me of an Alaskan bear hunt over 30 years ago where, after 23 days hunting, I did not shoot a single animal although I could have shot a few smallish bears none of which were big enough to have passed on their genes. The white diamond shape of snow high on the mountain is the closest I came to a really big bear but the steep conditions made it unsafe to go further or take the longish shot on offer. Did none of them watch or hear about Mark Zuckerberg explaining on Facebook to an audience of over 100 000 people that he hunted to provide healthy protein to his family and friends? That he felt it was important to take responsibility for what they ate. Do they not understand that almost all trophy hunters are also meat hunters and that almost all meat hunters try and shoot the biggest animals because they provide the biggest bang for their buck and for the pure satisfaction of doing so? Do they not understand that the reason why hunters try and kill big animals is because they are usually the oldest, out of the breeding cycle, often on their own (and hence their death does not stress the herd) and are also the smartest and therefore the most challenging? Clearly they have never heard of this or, if they have, they have deliberately chosen to ignore it. I do not know which is worse. 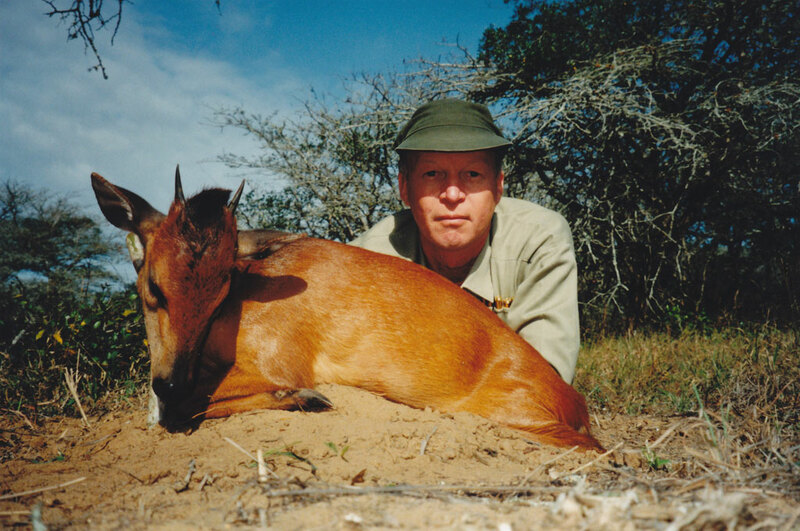 Another old photograph of the writer with a common and mediocre Natal red duiker, which he shot when trying to popularize hunting the Tiny Ten to encourage people to hunt them and thereby generate sufficient revenue from these animals to persuade game ranchers to set aside land to conserve them. Not sure what is being ‘signalled’ here but social status is not one of them. Secondly, they state: “It is unclear what specific benefits – other than increased status – might accrue to trophy hunters.” Well, why in Heaven’s name don’t they ask hunters before publishing such unadulterated rubbish? This would be bad journalism if it appeared in a newspaper but to pass it off as science is criminal. Any decent hunting magazine is replete with stories showing the value of escaping from urban stresses and pollution and being part of nature, sharing the experience with family and friends or the benefits of challenging and measuring yourself against hard-to-hunt animals, to mention but a few aspects and reasons why people hunt. When it comes to women hunters, however, the drivel defies belief. Did you know that women hunters consist mainly of “prominent media figures” and “professional hunters sponsored by outdoor companies” who hunt “for increased attention in an increasingly competitive social media and marketing world”. Really? I have read a load of sexist claptrap in my time but this takes the cake. Women hunters are one of the fastest growing categories of hunters in the USA along with urban men in their late twenties and early thirties who, like Zuckerberg, want to take responsibility for the meat they and their families eat. 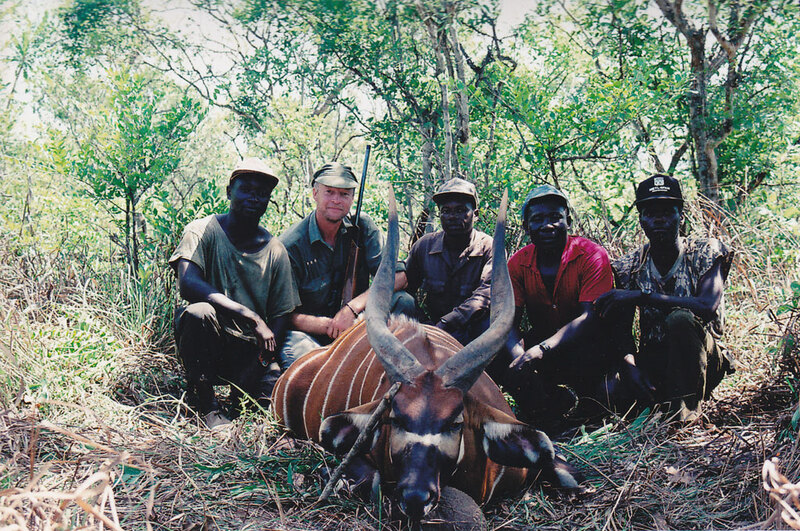 Do they not understand that most hunters, if they hunt long enough, go through six identifiable stages: from young people who just want adults to give them a chance to hunt anything; to hunting as much as possible whenever and wherever possible; to varying the animals and places hunted to broaden their experiences; to big game hunting as this term is understood in Africa; to hunting the more difficult to hunt animals where success is far from guaranteed; to giving something back to hunting in any of a number of different ways – teaching, training, conservation activities etc. The first rarity I shot some 30 year ago – a Zambezi sitatunga in the Okavango Swamp after 11 days of hunting. Sitatunga are not rare in the sense that there are few but because there are relatively few in trophy collections. This is because they are hard to hunt and comparatively few people have been successful in doing so. And it is when these buffoons write about conservation that they show their total ignorance of both the subject matter, the puerility of their hypotheses and the complete lack of understanding of conservation and the critical role hunting plays in it. Have they read nothing about the South African conservation success story, for example, where it has been empirically established that hunting was the main reason behind the recovery in game numbers from barely half a million in the 1960s to over 19 million game animals today. That those animals most endangered 60 years ago and which have been hunted most assiduously since then, have recovered best. For example, rhino, which had been reduced to less than 50 in South Africa recovered to over 20 000 before the outbreak of the current poaching plague by criminal gangs. But the real reason behind the article is reserved to the end. The propagation of the animal rightist’s lie that, firstly, trophy hunters kill rare animals and, secondly, that this is “speeding up their decline”. This is compounded by their effective invitation to the animal rightist lunatics to continue their campaigns of death threats, ugly hate mail and insults to any and all who hunt. I would like to suggest that we should establish the email addresses of Messrs Darimont, Codding, Hawke and forward copies of this hate mail to them as and when it is received plus a few choice words of our own. See how they like it. I do not know their email addresses but you can reach The Royal Society Publishing, which aired this claptrap at press@royalsociety.org; science@royalsociety.org or education@royalsociety.org and ask them to forward your email to the authors. I wish the authors would join the real world and look at Africa holistically and honestly. Really examine conservation or rather the lack of it in most countries. See what has happened in Kenya where, since the banning of hunting in 1977, they have by their own admission lost 88% of their plains game. Look at what is happening in Botswana where they refused to cull elephant and have since banned hunting. Compare it to what has and is happening in Namibia and South Africa. Open their eyes and ears before jumping on the animal rightist’s band wagon. See past their superficial, western, academic led brain washing and understand this – NO HUNTING MEANS NO WILDLIFE AND NO WILDLIFE HABITAT IN AFRICA! Another old photograph of the first western bongo the writer shot. He kept it because he was proud of his achievement of hunting this amazing animal, fair and square, after ten consecutive days of dawn to dusk tracking of the same animal. 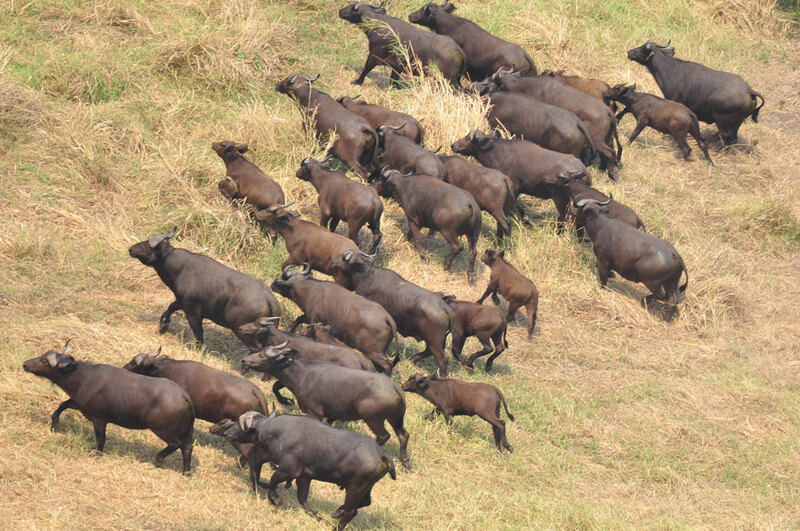 According to Kingdon there are some 28 000 western bongo in West Africa but less than 140 Eastern Bongo in Kenya where hunting was banned in 1977. In fact, there are more Eastern bongo on two Texas game ranches where they are regularly hunted than in the whole of Kenya. This mis-called “report” was nothing more than a two and one-half page “opinion” but it is. Supporting media articles quoting from the opinion piece are longer than the short opinion. The media is adding more to the hype. Well said, Peter. This is a pet subject of mine; sometimes I even go pick a fight with these idiots. For fun, but also to make some points to other level headed non-hunting people who may read this. Fully agree with all your points. As usual, I enjoyed reading your blog. Hope you are well. Looking forward to seeing you in Dallas. Save me a copy of your new book on Buffalo!! !